Relying uncritically on assumptions of questionable legitimacy is a poor way to make policy. 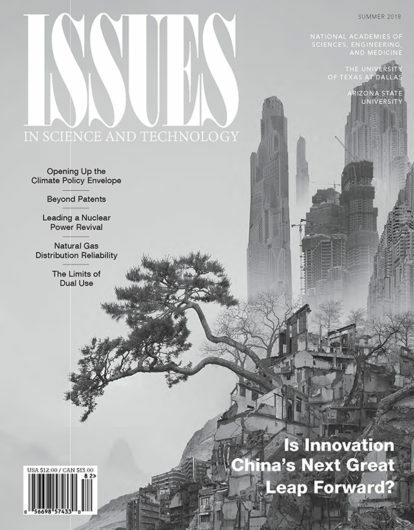 This concern animates several of the essays in the Summer 2018 Issues in Science and Technology. John Deutch (“Is Innovation China’s Next Great Leap Forward?“) challenges the assumption that the United States will maintain its global leadership in technological innovation. “A number of significant indicators,” he writes, “suggest that China’s innovative capability is increasing more rapidly than that of the United States, portending a weakening of the United States’ relative global competitive position.” He lays out concrete policy steps that the United States can implement to improve its innovation performance. At least one measure of innovation performance—patents—is also due for a reassessment. Jeffrey Funk (“Beyond Patents“) argues that patents may not be a very useful predictor of innovativeness, and a focus on patenting may in fact distract companies and researchers from more important work. Climate policy involves another set of assumptions that need to be questioned if we are going to have any hope of adequately addressing the problem. Roger Pielke Jr. (“Opening Up the Climate Policy Envelope“) finds that the scenarios and models underlying policy recommendations from the Intergovernmental Panel on Climate Change rely on highly dubious assumptions. These include “negative emissions” technologies that don’t yet exist and predictions of “spontaneous decarbonization” that may be overly optimistic. Rather than fudging our assumptions about an uncertain future to make policy proposals work on paper, it may make more sense to adapt to a range of possible climate futures. Bruce R. Guile and Rajul E. Pandya (“Adapting to Global Warming: Four National Priorities”) outline four ways to better adapt to a warming climate. Nuclear power touches on both innovation and climate concerns. The United States is ceding its leadership role in nuclear technologies and slowing innovation on a proven low-carbon energy technology. Michael J. Ford, Ahmed Abdulla, and M. Granger Morgan (“Nuclear Power Needs Leadership, but Not from the Military”) propose ways to help the United States regain ground in commercial reactor development and deployment. Also in the energy sector, most people are unaware that the natural gas pipeline system fails hundreds of times each year. That’s because there’s no national system to record these events and help improve reliability, according to Gerad Freeman, Jay Apt, and Michael Dworkin (“The Natural Gas Distribution System Needs Better Monitoring”). 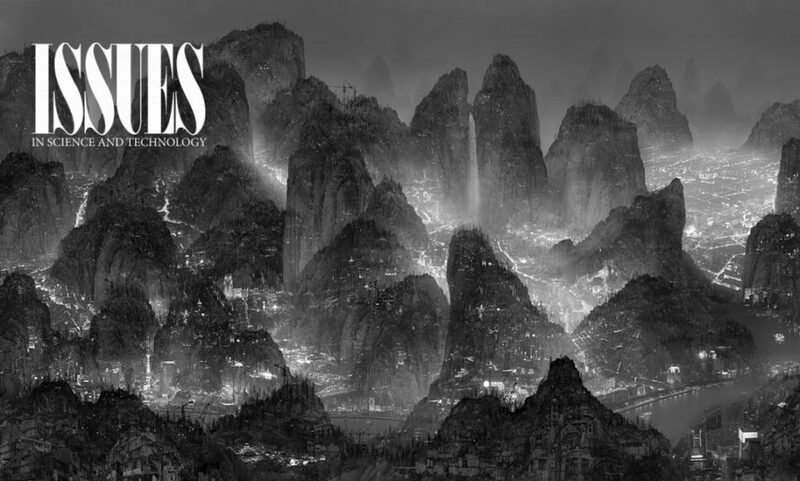 In the book review section, Carl Mitcham (“Varieties of Technological Experience”) explores profound differences in eastern and western conceptions of technology—and humans’ place in the cosmos—in his review of Yuk Hui’s The Question Concerning Technology in China: An Essay in Cosmotechnics. In his review of Modernizing America’s Electricity Infrastructure by Mason Willrich, Kai N. Lee (“Keeping the Lights On”) looks at the fragility of the US electricity grid and the challenges of updating and improving it. This issue also features the startling photo collages of Shanghai-based artist Yang Yongliang and the intriguing installation piece Kintsugi++ by Certain Measures, which challenges viewers to think about the radical reuse of waste.